Here are some essential oil recipes for fibromyalgia we put together so you can browse through them easily and find the best one that meets your needs. Were you aware that massage can help with the chronic pain you experience from this disease? A study conducted by the University Of Miami School of Medicine showed that massage therapy improved sleep patterns, decreased stress hormones, and brought up serotonin levels, which is a neurotransmitter that some research suggests can trigger fibromyalgia when levels are low. That isn’t all. Routine messages have also shown to lower the levels of substance P, which is a chemical messenger delivering pain. The effects are significant and adding a pain relieving essential oil in the mix is not a bad way to battle that pain head on. Try this blend. Over a low heat, melt the coconut oil until it is in liquid form. Let it cool for 2-3 minutes. Add the shea oil and the essential oils. Mix well and put into an amber bottle for storage. Use when you go to the massage therapist or get one from your significant other. Baths are a long time reliever of pain when it comes to sufferers of this disease that administers consistent soreness. The heat, particularly the kind that comes from water, has been used as a tool to loosen stiff muscles and ease discomfort. 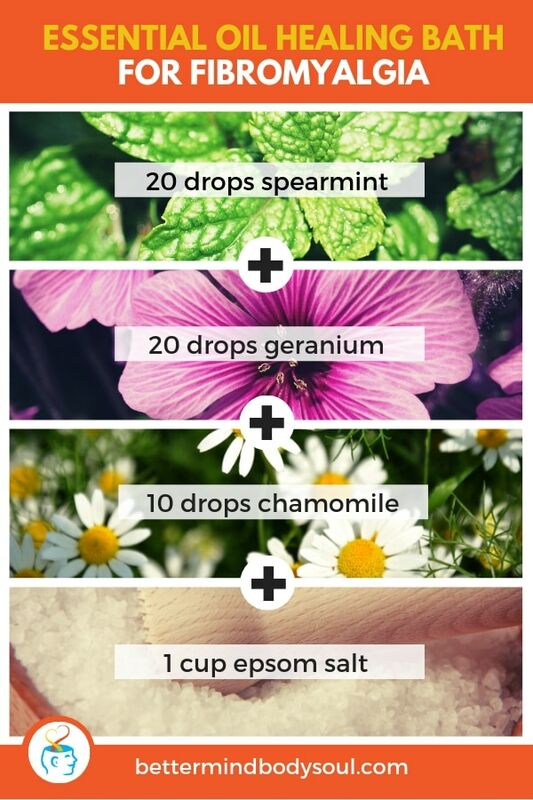 Adding essential oils and Epsom salts are going to help bring the relief to a whole new level. On top of all that, Epsom salts are another age-old remedy for pain derived from this syndrome that attacks muscles and soft tissue. These magnesium sulfate crystals have been utilized as pain remedies for centuries. When you are feeling a particularly painful flare-up, run a hot bath, add the mixture we describe below and take some time for yourself. Put salts in a bowl. 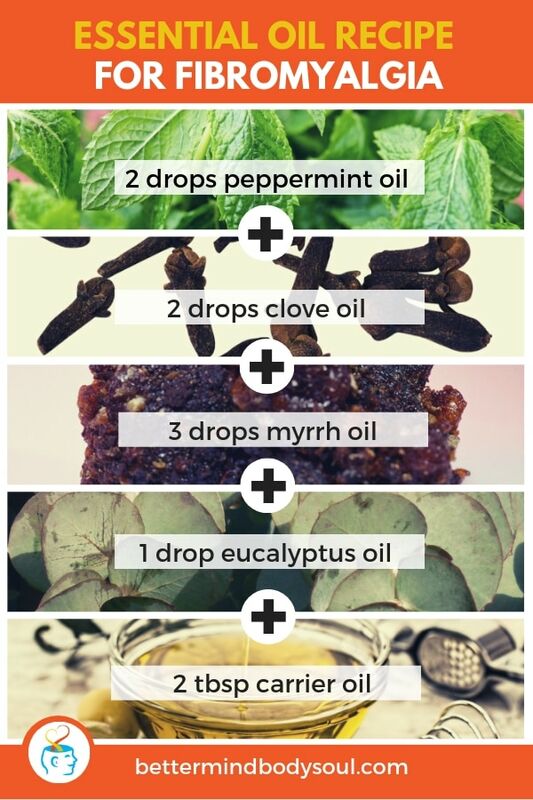 Add each essential oil while mixing well, one after the other. Add all of it to your bath. Our next recipe is something you can blend together and keep in your purse or desk when you are experiencing an increase in pain. In fact, you can apply this oil to your pressure points periodically through the day when you feel the pain come back. One user of this blend said that it took the same time to relieve her pain as with the pain meds she was prescribed. She also reported that this blend was not as effective when it rained, which was a time of heightened pain for her disorder. If you experience a lot of pain when it rains, then this might not be the recipe for you. But there’s no harm in trying, this is what you need. 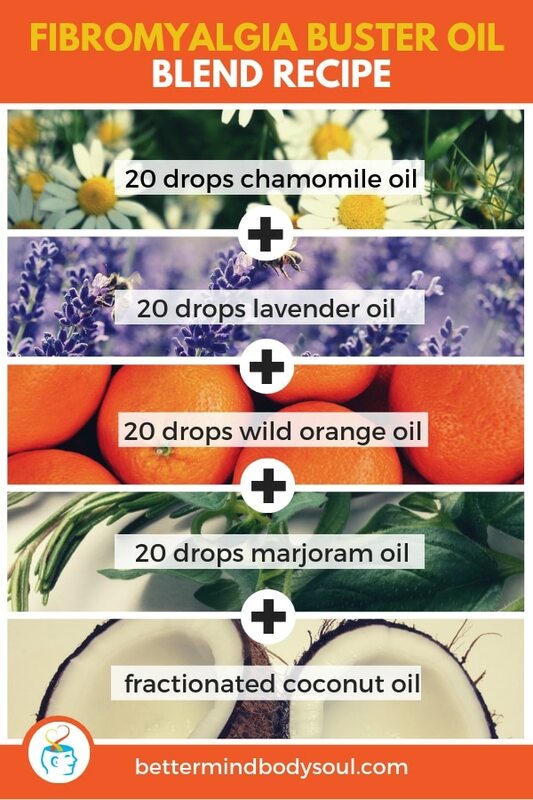 Put all of the essential oils into the roller bottle and fill the rest of the way with the coconut oil. Shake and use when you need it. I’ve mentioned roller bottles already in this piece, but for those of us out there who don’t know what that is, it’s a dark glass bottle with a top that has a ball sitting on the top of it. When the user runs the ball onto the points of their body, they want to apply the essential oils inside- it rolls, which in turn applies the oil to the desired area. This recipe works well inside a roller bottle. Just open the roller bottle and mix the following inside. If the roller bottle isn’t big enough to hold all those ingredients, mix them in an amber bottle of the appropriate size, mix well, and then put some of them into your roller bottle. Our next blend is a different variation of some of the scents that we’ve already discussed in this piece. Still, with different amounts for each recipe, each blend is unique no matter how many repeats you might notice. This particular blend includes myrrh, which is the first time this powerful oil has been included in this article. 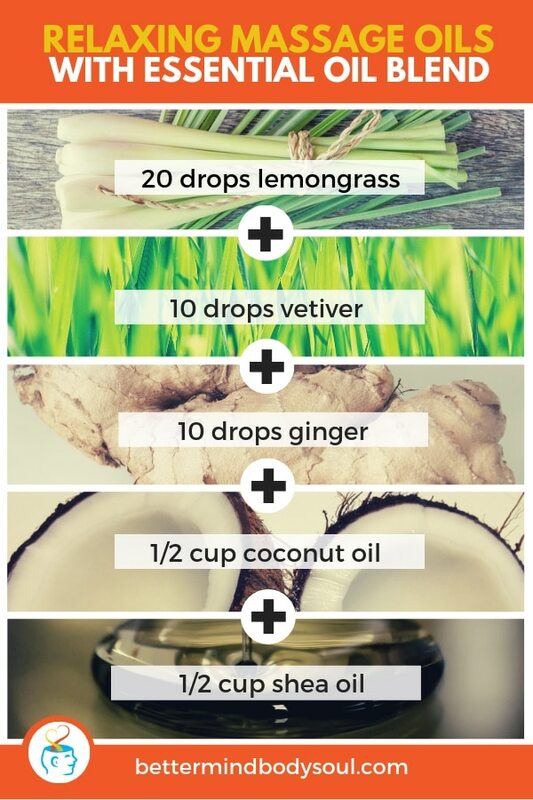 To create this massage blend that eases the pain, put the following ingredients together in an amber bottle. Once this blend is mixed thoroughly, apply directly to the areas where the pain is increasing. Of course, we always advise that it’s best to keep oils away from your eyes. Middle-aged people are more commonly diagnosed with this disease, and between eighty and ninety percent of them are women. Fortunately, there are natural ways you can battle the pain that comes with this lifelong disorder. For this next recipe, it has been dubbed a “buster” because it busts the pain from your body. 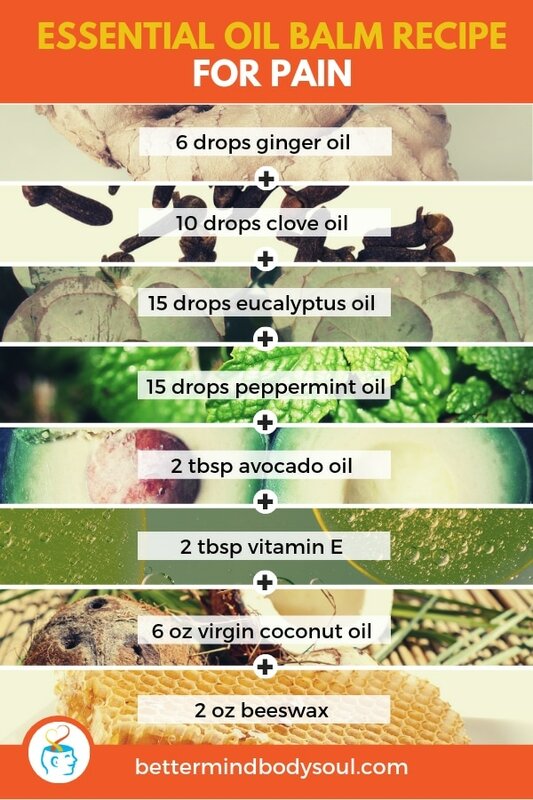 Place all the essential oils in a dark bottle and then fill the rest of the way with the coconut oil. This blend also works well in a roll-on bottle. A balm is thicker than a lotion and does not include water. It is typically made with oil or beeswax, so it should be no surprise that this recipe does call for those exact things. This recipe calls for a little more effort in the preparation stage, but there aren’t any difficult steps. Step 1 – In a double boiler, slowly heat the coconut oil and beeswax together until melted and clear. Step 2 – Shut off the heat and remove the boiler from the burner. Add the vitamin E and coconut oil. 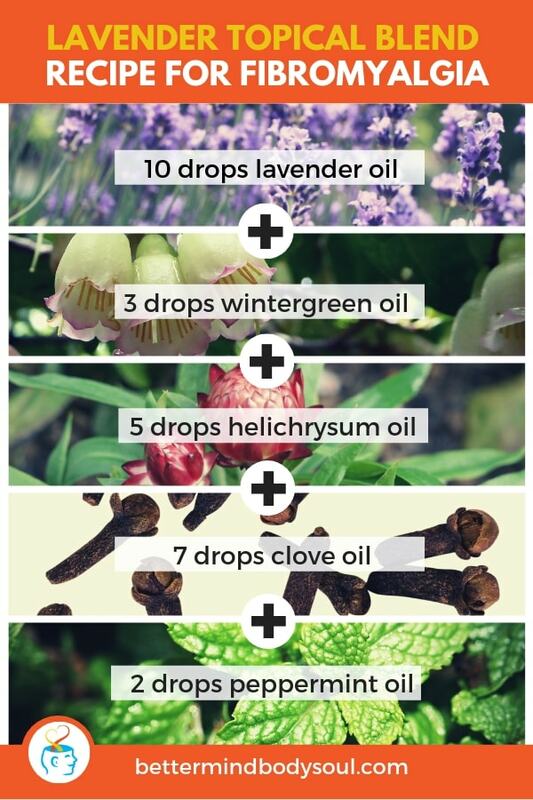 Step 3 – Add each of the essential oils listed above, mixing the blend well after each addition. Step 4 – Transfer the contents into a bowl and let cool completely. Step 5 – Transfer into a suitable bottle and apply to areas of pain. Here we have another balm, which is great when it comes to massage and trying to get the effects of the scents deep into your skin. With this one, the intention was to create a substance the fibro patient could apply before bedtime. This way, they could sleep pain-free. In this recipe, you will see some new ingredients that haven’t appeared earlier in the article. Step 1 – Put your base oil in a water bath. Step 2 – Crush the dry ingredients and break apart. After grounding them to small pieces, put all of it into your oil. Step 3 – Mix well. Step 4 – Put in a saucepan and bring it to a boil. Do not cover this while cooking. Step 5 – Simmer slowly for four hours. During this time, stir well and check the temperature every half hour. The temp should stay between 120 – 135 degrees. Step 6 – After four hours, shut off the heat, remove the pan from the burner, and let sit untouched for 15 minutes. Step 7 – Pour into a bowl through a coffee filter to remove the dry herbs. Step 8 – Add the vitamin E to the strained mixture and stir until blended in well. Step 9 – Pour into your containers. It should yield 3 ½ cups and lasts for one year. It may seem that a lot of things today are massaged into the skin. This is true. But, when you think about it, it is also the appropriate method to alleviate your pain. Compared to the mixtures that have to be ingested, it usually takes time since it has to go through a lot of processes before it is absorbed in our digestive system. 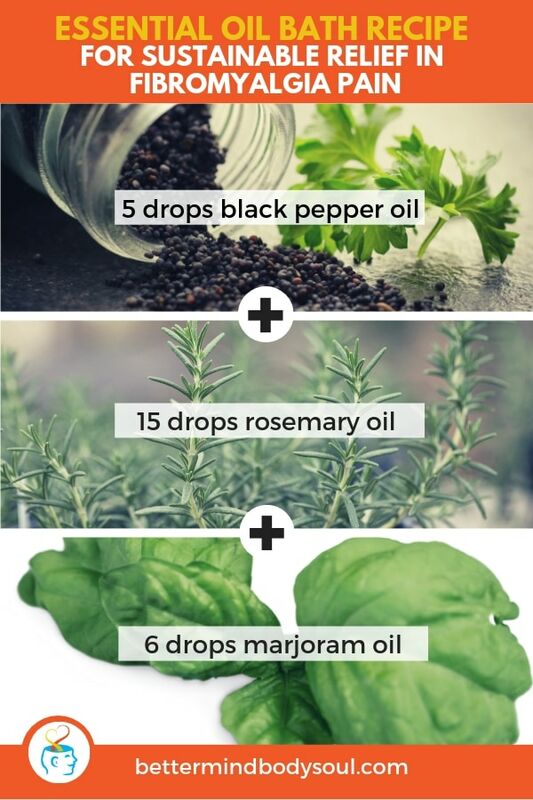 It seems that applying these mix through the skin and muscle would be the fastest way to relieve any pain you might be feeling from this illness. Combine the ingredients and place in an appropriate container. As you can see, this mixture requires fewer oils to combine, which means you can make as fast as you need it on the fly. Notice the citronella, it is a dynamic extract that has a ton of benefits. When something is sustainable, it means that it can be maintained at a certain level. When it comes to relief with this illness, the ultimate goal is to find that constant relief. We don’t know if that is possible in a medical sense, but in the natural world, this mixture of ingredients might get closer to that. Here, we have the addition of black pepper, which is spicy and mighty. 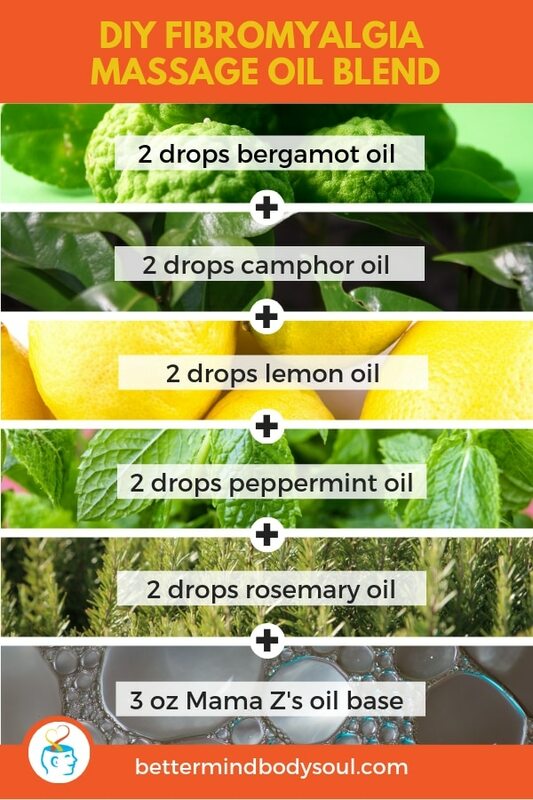 Add these blend of oils to your bath water and take a soak. Your pain may just stay away long after you have dried off and gone to bed. 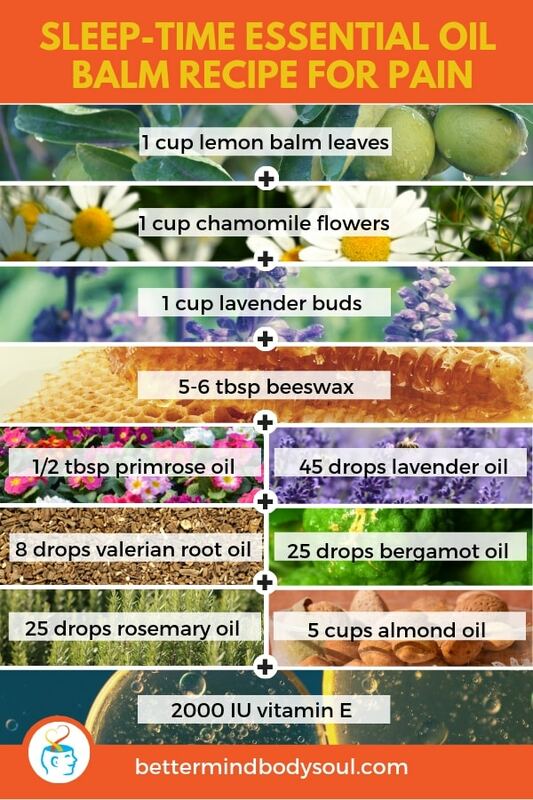 The nice thing about this recipe is that it consists of oils that most aromatherapy fans already have in their collection. 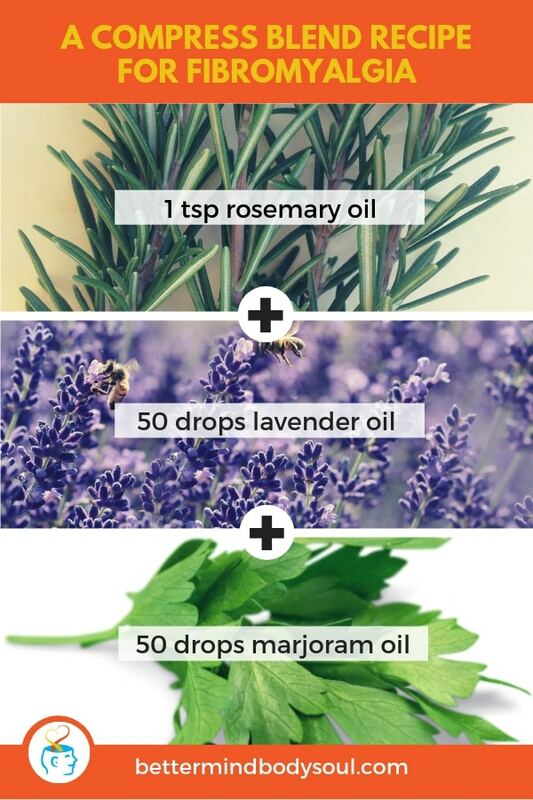 With this blend, you can use more than one scent because you already own it and that makes it easier to make. 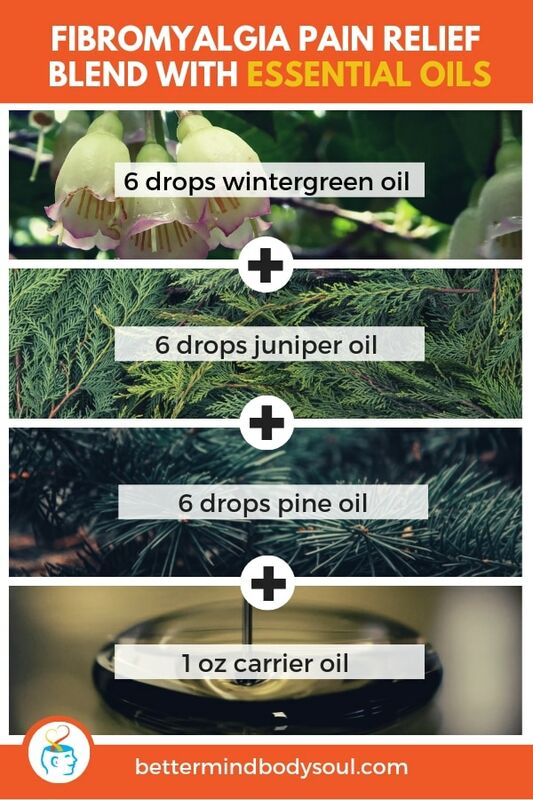 Also, this is a great one to get creative with carrier oils, like olive or jojoba. 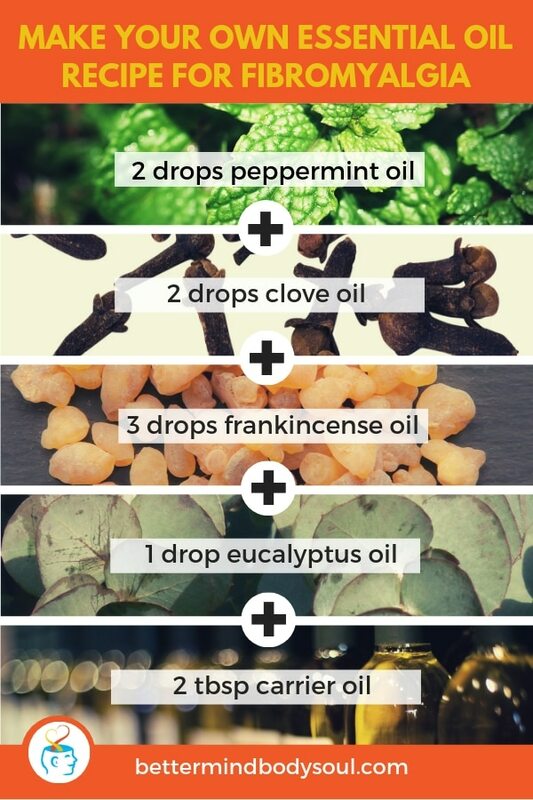 Just as you should do with all essential oils, store these in a dark place. The containers they are stored in should be made of glass and darker in color. This mixture can be added to your bath for immediate relief. Wintergreen oil is a heavy hitter when it comes to pain relief and so is CBD oil, which is a cannabidiol that has come into the spotlight recently when it comes to relieving pain. 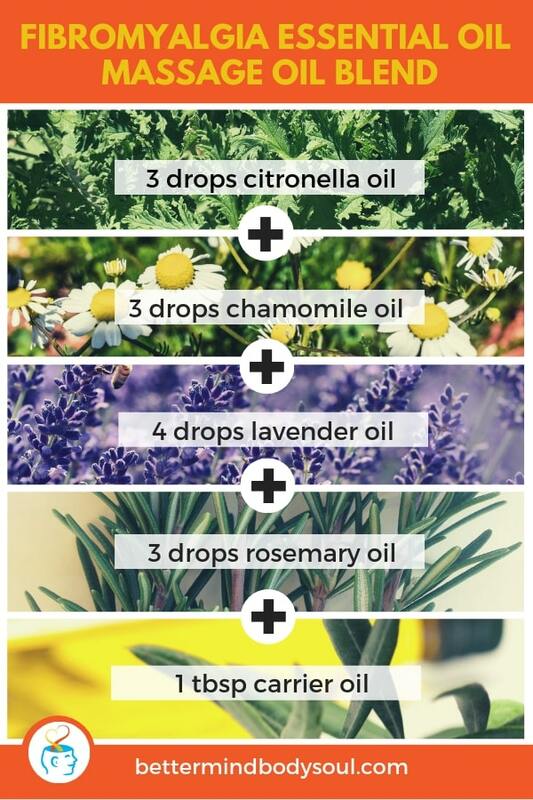 This is another blend that should be applied topically, and you can also find interesting carrier oils to use to mix the essential oils with. Some possible carriers are arnica or CBD Hemp oil. Juniper and pine oils are also great fighters of pain since they have been used to ease the pain that comes with arthritis. Here we have a recipe that is intended to be added in your diffuser when you are settling into your bed for the night. Of course, the proportions listed below are changeable depending on how big your diffuser is. My suggestion would be to start with the amount we list below and then add if you feel it hasn’t helped the way you had hoped. 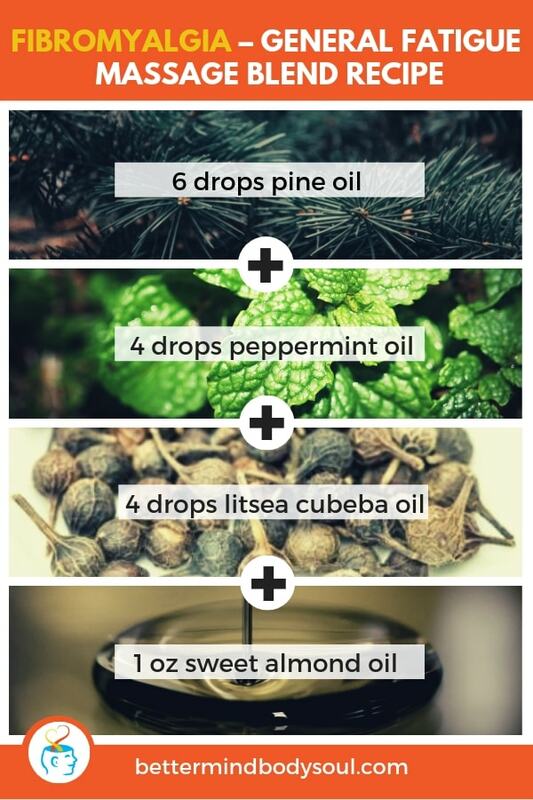 Put water into your diffuser and add the oils. 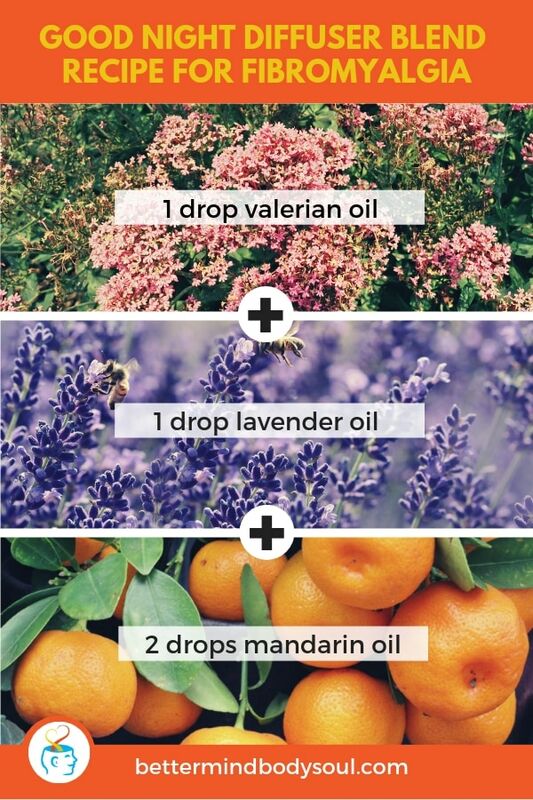 Valerian and mandarin are both newer oils in our recipe list that’s been used to aid feelings of pain. Valerian has been used to treat joint pains, and mandarin has been used for the same purpose as well. Pain isn’t the only sign of this disease. As it turns out, fatigue is also a major hurdle. This blend should help you find that focus and energize you a bit. It is intended for massage, but if you remove the carrier substance, this blend can also be added to your diffuser for breathing and experience its true aromatherapy effects. Litsea cubeba has been used to treat all kinds of pain including cramps, nausea, and indigestion. Just rub some of this blend to the most painful areas and try to relax in the process so that the pain can subside. We’ve already covered why a majority of these blends are intended for topical applications, and this recipe is no different. It has a few oils that you’ve already seen but put together in a more simplistic way. 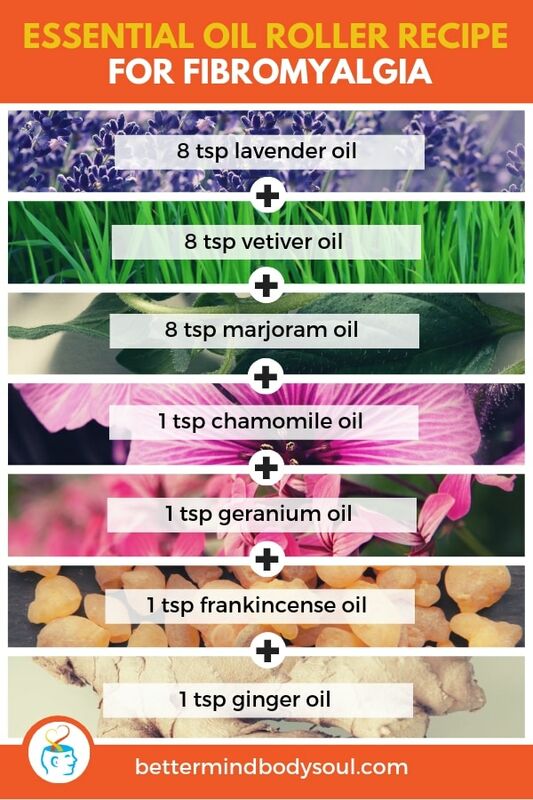 When mixing these and all the blends on this list, make sure to do so in a non-reactive bowl so your essential oils are not compromised. After mixing well, put the contents into an amber storage bottle. Apply when needed and don’t be shy. When it comes to pain relief, compresses have been used as remedies for some time. A compress is a cloth that has been typically soaked in warm or cold water and applied to the sea of pain with pressure. This particular compress requires you blend bit of the scents together first and then added to your cloth. 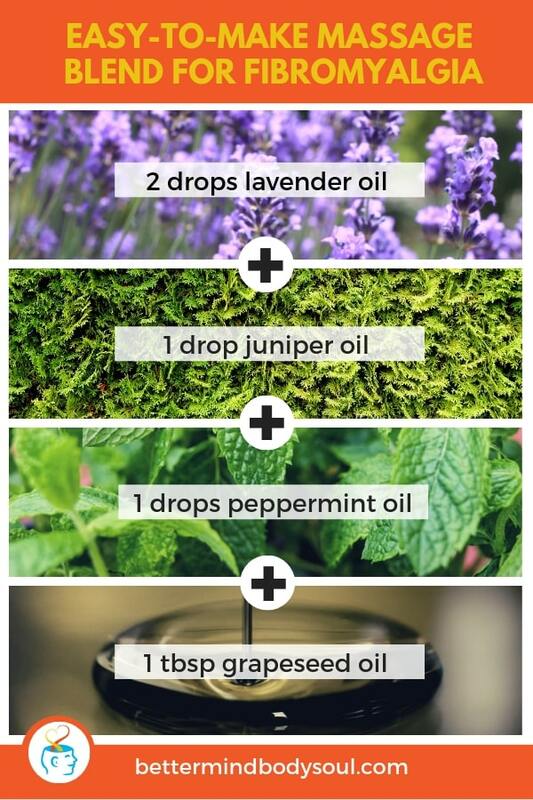 Combine your essential oils in a bowl. Blend well and then add a cup of hot water. Soak a cloth and apply to the affected area. You can secure the cloth in place with plastic wrap. This type of treatment would have to be used routinely to keep the pain at bay. Here is another massage pain you should try. We have covered a lot of topical mixtures to tackle the pain. 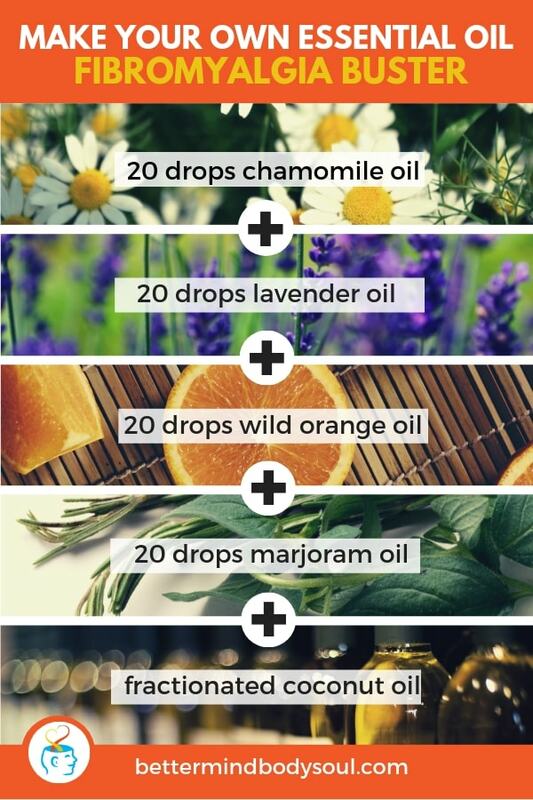 I can’t think of any other method to penetrate the pain, so why not go with the best way to get those beneficial essential oils into those joints and muscles. That said, this particular blend should be used as needed or every four hours if the pain is especially bad. Put the base oil into your glass jar first and then add the essential oils. Shake well and keep in the refrigerator. Camphor is another oil that has been used for pain relief. They always save the best for last and that is certainly the case with this list. I am a HUGE fan of lavender oil. It’s the scent that introduced me to aromatherapy, I use it constantly and have to replenish my stash regularly. Lavender oil has not only relieved the pain I’ve suffered from a burn, but it also healed it completely. Of course, when it comes to pain derived from this ailment, it is no surprise to me that it is the main ingredient in this particular recipe. Blend this well and put into a roller bottle. Apply topically as needed. As an added bonus, you will definitely smell great to everyone around you. When it comes to fibromyalgia, pain and fatigue are a constant force in your life. It would be great to find a natural way to remedy these issues. After the eighteen recipes we just listed, I am sure you can find one that works for you. If you liked this post, let us know below. If you know someone that suffers from this disorder, please share this article with them.